Ford Performance Vehicles is the Melbourne-based, premium performance vehicle partner of automobile manufacturer Ford Australia. The company has produced a range of Ford based models under the FPV brand name since April 2003. 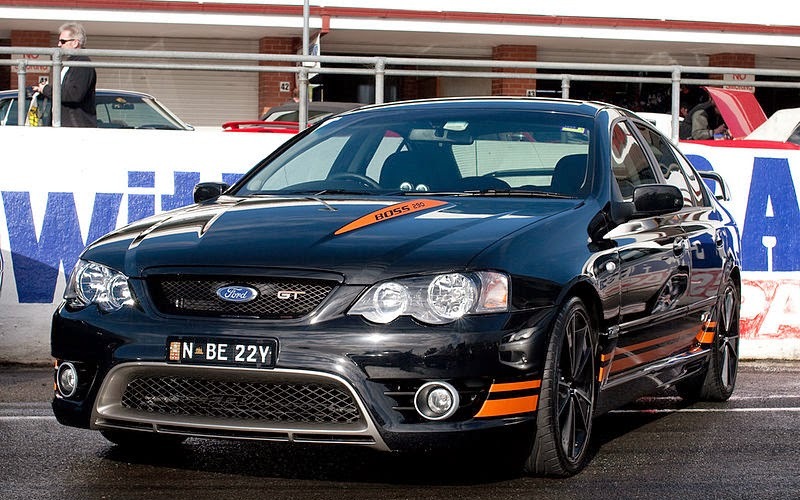 The roots of FPV can be traced back to 1991, when the English automotive engineering company Tickford began a collaboration with Ford Australia to produce high-performance variants of the Australian Falcon range. The partnership, Tickford Vehicle Engineering, saw the introduction of the Ford Falcon S-XR6 and Ford Falcon S-XR8 models. 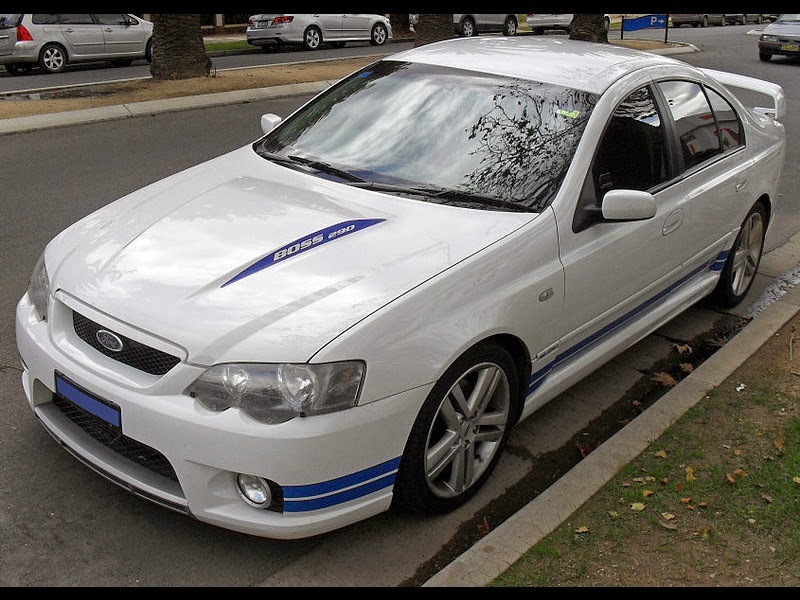 This was followed in October 1999 by the launch of the Ford Tickford Experience dealer network and the FTE T-Series range based on Ford’s AU Falcon and Fairlane models. In 2002, following the purchase of Tickford by Prodrive, the Ford Performance Vehicles company was formed as a joint venture between Ford Australia and Prodrive. 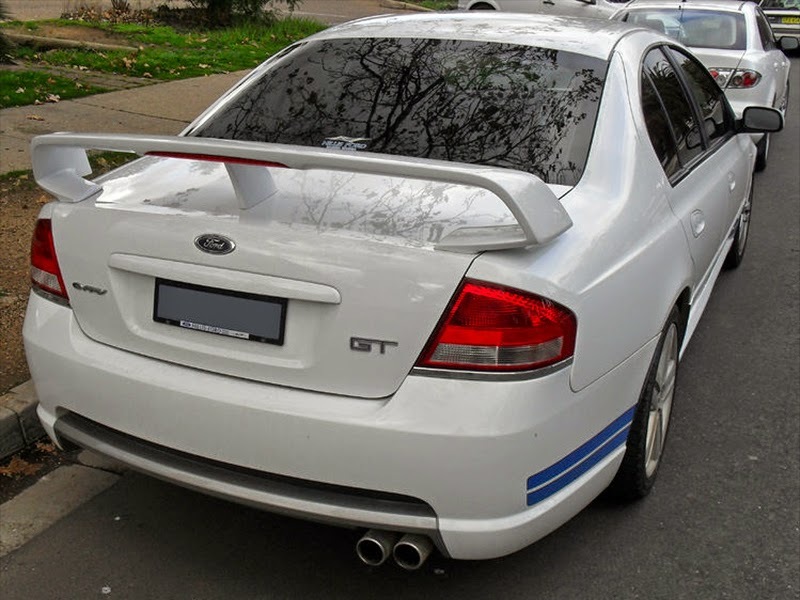 The FPV brand name was created to replace the FTE name and a restructured range was developed based on the Ford BA Falcon, seeing the return of the GT nameplate to a Falcon product for the first time since the 30th Anniversary GT, and as a regular production model since the XB Falcon GT. 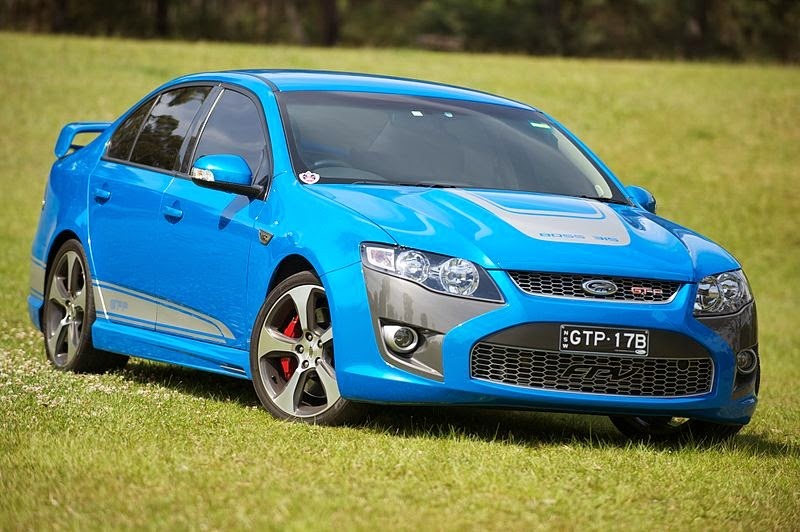 The range was headlined by the FPV GT-P, and included a turbo-charged model based on the XR6 Turbo. In August 2012 it was announced that Ford Australia was to purchase the assets of Ford Performance Vehicles and continue the engineering, manufacturing and marketing of the FPV brand in Australia. 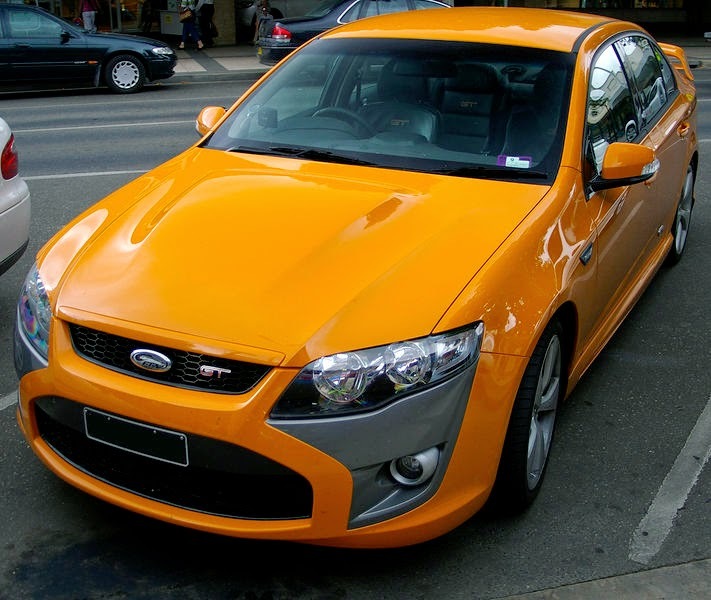 The FPV GT, GS and F6 nameplates will be discontinued and the FPV brand retired as of 2014 in preparation for Ford Australia's manufacturing shutdown, ending 12 years of performance car production under the FPV brand. The 2003 BA range included the GT, GT-P, and the Pursuit. The GT was the entry-level vehicle that started with a suggested retail price of A$59,810. The GT-P was the upmarket version of the GT, with a price tag of A$69,850. The Pursuit was a ute (utility) version of the GT, featuring the same seats, basic dash/interior package and wheels. A FPV specific body-kit was applied to all cars, using the lights from the XR-range. The kit had a strong resemblance to the BA falcon V8 Supercar, highlighting the connection to FPR. All three were powered by a unique version of Ford's 5.4-litre Modular V8, with DOHC 4-valve cylinder heads from the Mustang Cobra R engine. 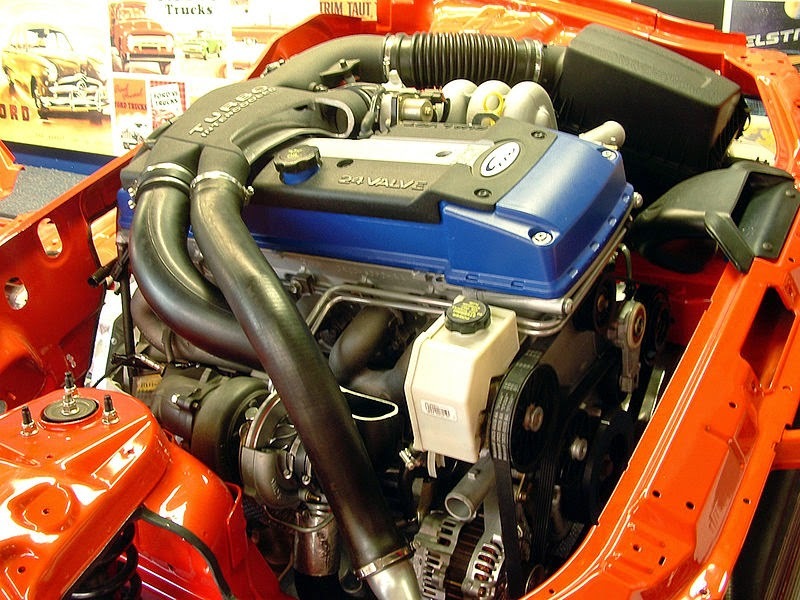 FPV named this uniquely tuned engine as the Boss 290 because of its power output. It produced 290 kW (394 PS; 389 bhp) at 5500 rpm and 520 Nm (380 lbft) of torque at 4500 rpm. The GT, GT-P and Pursuit received a new stripe package with bonnet decals, a six-speed Tremec T56 manual and the GT-P received 19" five-spoke alloy wheels. A new car and ute were added to the range, the F6 Typhoon (sedan) and F6 Tornado (ute), the F6 was visually separated from the GT range with the use of a different pattern in the front bumper grill mesh, and a smaller boot spoiler. 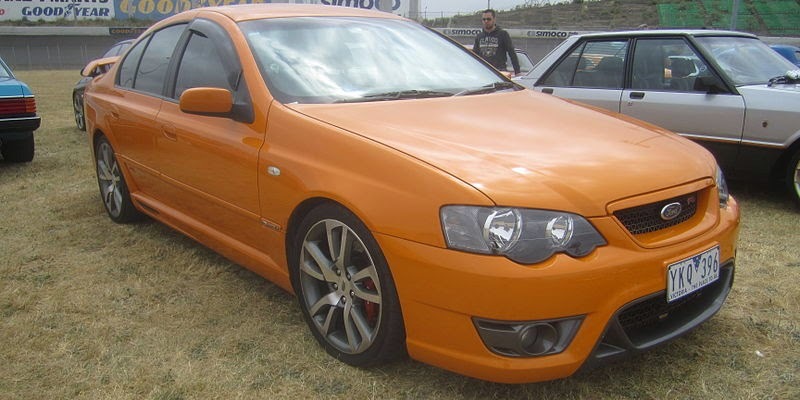 FPV also released the Super Pursuit, which was a Pursuit ute with GT-P extras. 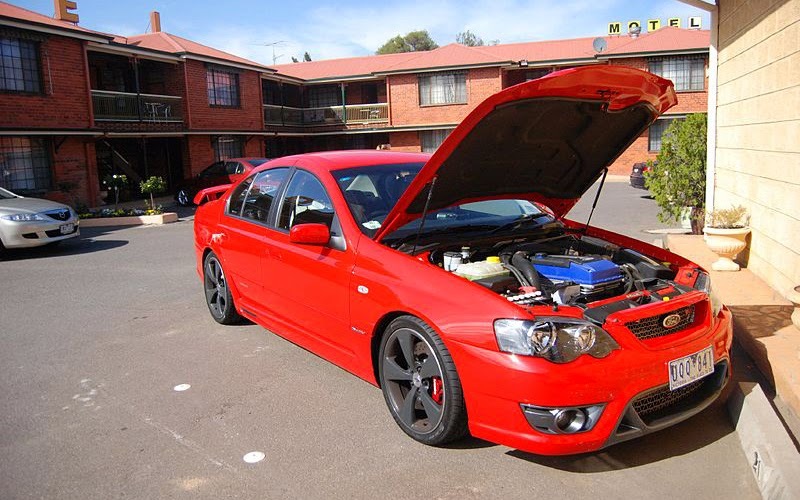 They were FPV's version of the Ford Falcon Barra engine, featuring a 4.0 litre DOHC 24-valve turbocharged inline-six with variable cam timing, which produced 270 kW (367 PS; 362 bhp) at 5250 rpm and 550 Nm (410 lbft) at 2000 - 4250 rpm. Engine specifications remain unchanged. All models share the same six-speed manual and were now offered with an optional SS made ZF six-speed automatic (the same as featured in Jaguars and BMWs). The GT received the GT-P's old 19-inch wheels, and the GT-P and Super Pursuit received their own specific road wheel styles. Typhoon & Tornado versions had optional 18-inch road wheel design used on the previous model, or a new 19-inch design with black spokes. All models received new body kits, with the F6 Typhoon benefiting from its own unique styling changes. The F6 now had color coded fog lamp surrounds, and a lower grill insert emphasizing the intercooler. The rear now had a new bumper with mesh inserts, a deeper diffuser, with the GT models now sporting a dual exit exhaust system cut into the diffuser. No mechanical changes were introduced with this update; however, all models came standard with 19 inch rims. Subtle styling changes were made, but the most significant news was the introduction of new Force 6 and Force 8 models. Built to rival HSV's Senator Signature, they are mechanically identical to the auto-equipped GT model, but in a more luxury-focused package with more conservative visuals (no rear wing and more conservative colour range). The Force models are essentially an FPV version of the Fairmont Ghia (luxury model in the Falcon range). In the final months of the BF MkII Falcon, a trio of limited-editions were released - the GT 40th Anniversary, the F6 Typhoon R-Spec, and the GT Cobra with a Cobra Ute - all three of which received stiffer "R-Spec" dampers, and in the case of the GT Cobra, a power hike. (The GT Cobra motor produced 405 hp (302 kW) and 540 Nm (398 lbft)). 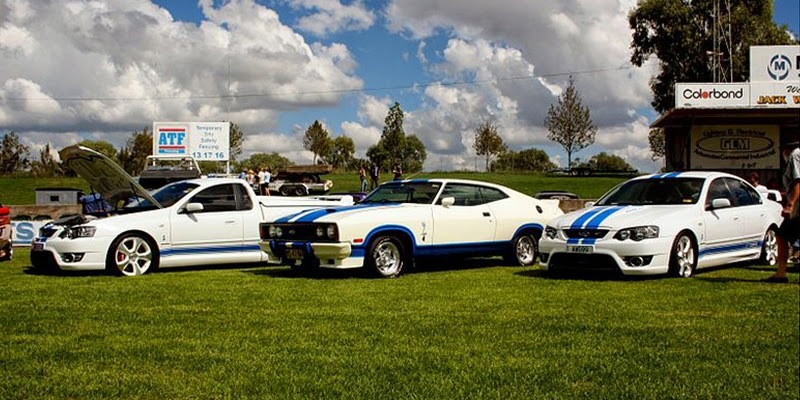 BF Falcon GT Cobra, XC Cobra Hardtop and BF Cobra ute. In January 2008, Ford Performance Vehicles unveiled the FPV F6X, a high-performance, luxury version of the Ford Territory crossover. The F6X is fitted with the F6 270 Turbo 4.0 L DOHC in-line six-cylinder engine, a ZF six-speed automatic transmission and a full-time all-wheel-drive system. 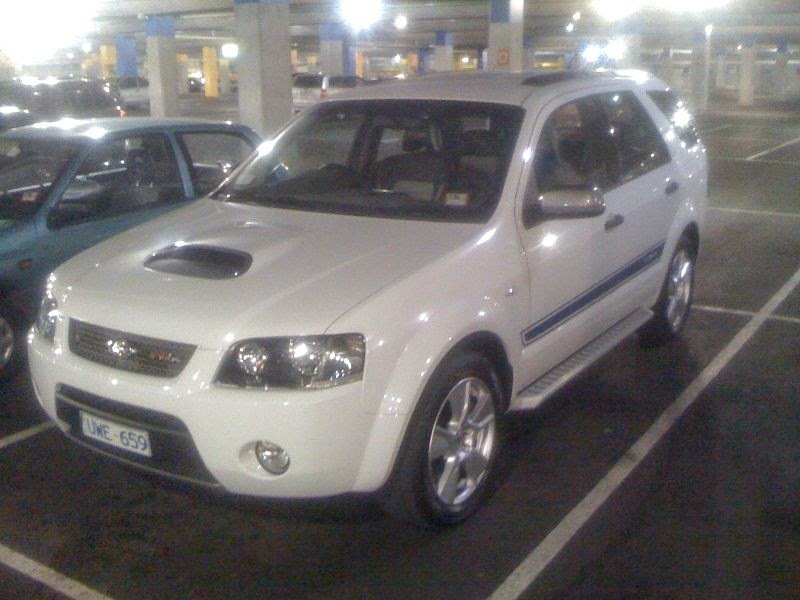 It is the first non Falcon-based model to be produced by FPV and, with an engine producing 270 kW (367 PS; 362 bhp) and 550 Nm (406 lbft), was claimed by the company to be the most powerful six-cylinder SUV available in Australia at that time. 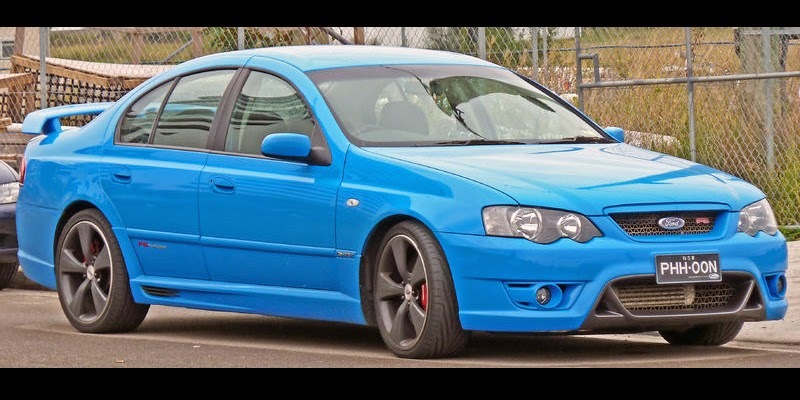 All models in the current FPV FG range are based on the Australian Ford FG Falcon and include the 6-cylinder F6 sedan, F6 Ute (the former Typhoon and Tornado names having been retired) and F6 E sedan, the V8 powered GS Sedan and Ute and the V8 engined GT, GT-P and GT E sedans. The 4.0 L Turbocharged Inline Six produces 310 kW (421 PS; 416 bhp) and 565 Nm (417 lbft), while the 5.4 L V8 developed 315 kW (428 PS; 422 bhp) and 551 Nm (406 lbft). 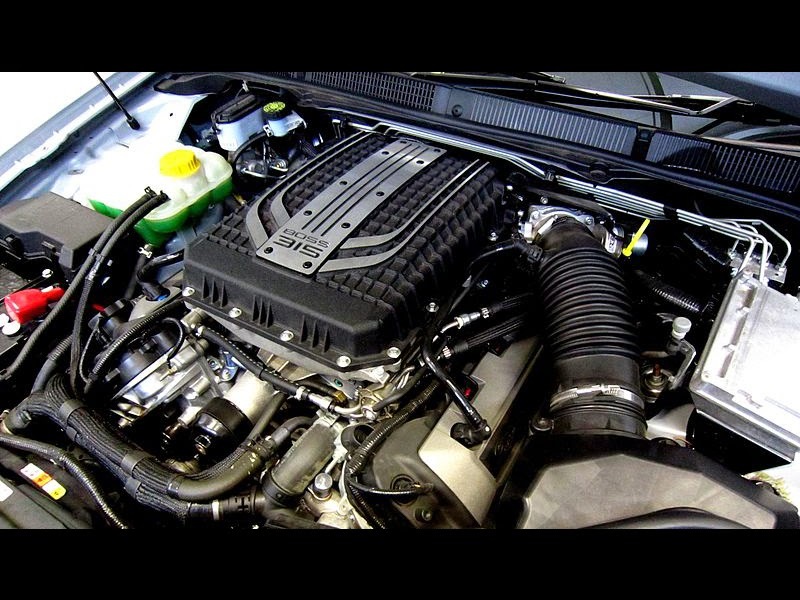 The 5.4 L V8 was replaced with the new 5.0 L Supercharged Coyote (Miami) V8. The GT range now produces 335 kW (449 hp) and the GS 315 kW (428 PS; 422 bhp). It is capable of a sub 5 second 0–100 km/h (0-62 mph) time, surpassing the HSV GTS (the FPV's main rival) in both power and torque. The decision was brought about because of pressure to convert to Euro IV emissions, which the 5.4 L was unable to pass. In August 2009 FPV launched new GS Sedan and GS Ute models, reviving a name that was first used for an option pack on the XW Falcon range of 1969. Unlike that earlier GS, the new model is a limited-edition model and it is intended to provide a lower entry-point into FPV's performance stable. At $54,950 (plus on-roads) for the Sedan, and $49,950 (plus) for the Ute, the GS variants sit between Ford's Falcon XR range and FPV's GT and F6. The pricing puts both the GS Sedan and Ute under the bar for the Luxury Car Tax. Featuring GS graphics, FPV chassis enhancements and interior updates, and sitting on 19 inch rims (Graphite for the Sedan, Alpine Silver for the Ute). Production includes 250 sedans and 75 utes. The GS features the new 5.0 litre V8, but produces slightly less power and torque than its more expensive V8 siblings. The engine makes 315 kW (428 PS; 422 hp) and 545 Nm (402 lbft), and driving through the standard six-speed manual, runs a GT-spec exhaust system and sits on a GT-spec suspension set-up. The GS also offers a premium sound system, Bluetooth compatibility, iPod connectivity, GT instrumentation, starter button, and dual-zone climate control as standard features. The GT costs the same and has the same features as the F6, the major difference being the engine. It features a 5.0 L supercharged V8, code named "Miami". The engine has 335 kW (455 PS; 449 bhp) at 5750 rpm and 570 Nm (420 lbft) of torque between 2200 - 5500 rpm. Because of different shaped BOSS engines that are physically larger than the I6 engine in F6, the GT has a "power bulge" on the bonnet with GT decals. The GT has two transmission choices a 6-speed manual or a 6-speed automatic. Standard are 4-piston front brake calipers, 19-inch alloy wheels, dual zone climate control, and other items. The GT retails for $71,000. A higher performance version of the GT was offered, called the R-spec. The GT-P is a higher-spec version of the regular GT. It costs $81,000 (AUD). It features FPV's new "Miami" V8, it has the same power as the GT. It also includes larger brakes, adjustable pedals, performance seats, a 6-way power driver's seat, and extra GT-P decals. It also features 19-inch alloys; however, they have a different design to the regular GT. 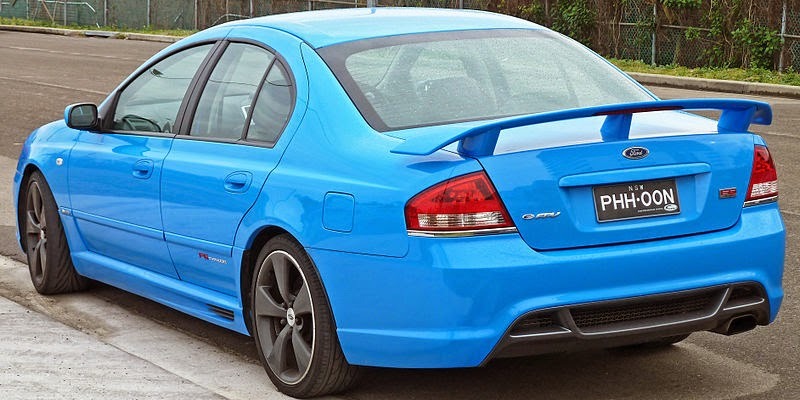 Presented in June 2014, the GT-F 351 is the last ever Falcon GT sedan and last FPV model (along with the Pursuit Ute), with a total production of 500 reserved for Australia at $77,990 and another 50 for New Zealand. Its nomenclature was chosen to mean "F" for final whereas "351" is this Falcon's engine output in kW as well as a homage to the iconic 351 cu in (5.8 L) engine capacity of the 1970s GT Falcon. Mechanically, the GT-F features launch control, standard Brembo six-piston front and four-piston rear brakes, the suspension and 275/35 R19 Dunlop Sports Maxx 9in rear tyre package from the limited edition GT R-spec and a retuned version of the supercharged Coyote "Miami" 5.0 L V8 (embossed "GT-F 351" instead of "Boss 335") developing a minimum of 351 kW (477 PS; 471 bhp) of power (or, depending on prevailing conditions, over 400 kW (544 PS; 536 bhp) for 15-20 seconds thanks to a transient overboost function) but an unchanged 570 Nm (420 lbft) of torque that is, however, available across a broader range. Inside, this Falcon is characterised by darker finishes, orange accents throughout (e.g. trim stitching, instrument facia and GT-F seat embroiding) and a build number plate complemented by a certificate. The exterior features stealth or black accents (specifically, the headlight and foglight bezels are black, as are the external mirrors, door handles, rear spoiler and diffuser, alloy wheels) and a unique GT-F stripe package (including over the roof of the car) that is available in different colours depending on exterior paints, which are Winter White, Silhouette (black), Kinetic (blue), Octane (orange) and Smoke (grey). The F6 is one of two turbocharged 6-cylinder vehicles in the FPV sedan range, with a suggested retail price of $66,590 (AUD). It comes with the same features as the F6 ute, except it also has a Control Blade independent rear suspension, dual-zone climate control, premium audio system, and reverse sensing system that are not standard on the ute. With 310 kW (421 PS; 416 bhp) and 565 Nm (417 lbft), this can take it from 0–100 km (0-62 mph) in 4.9 seconds. The F6 is the quickest Ford vehicle ever sold in Australia. 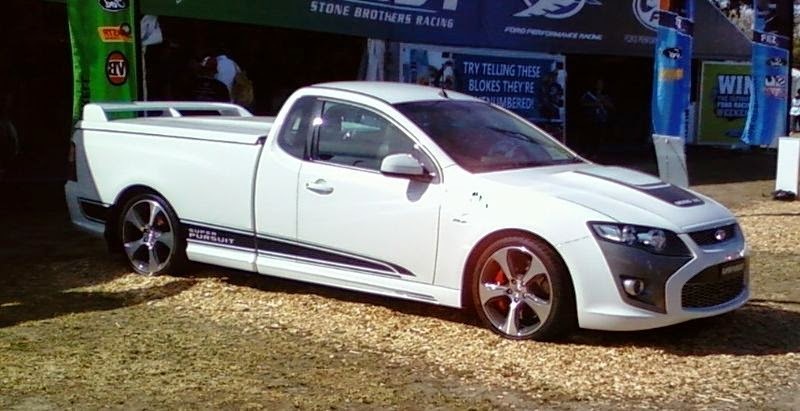 The GS ute is now the only V8 powered ute in FPV's line-up. It is powered by the same 315 kW (428 PS; 422 bhp) supercharged 5.0 L V8 found in the GS sedan. Fuel economy for the GS ute is 14.0 L/100 km for the manual and 14.2 L/100 km for the automatic, both figures are small improvements over the 5.4 L V8. The GS ute can be optioned with either a 6-speed manual or a ZF 6-speed automatic. The GS ute will start at $52,000. 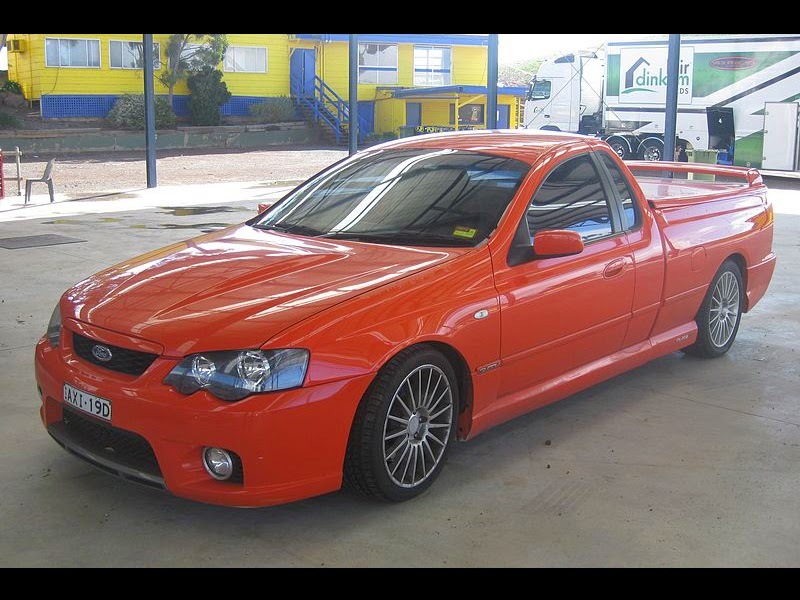 FPV offered two V8 powered utes in the FG range, both using the 5.4 L V8. The two models were discontinued when the company introduced the 5.0 L Supercharged V8 in October 2010. The Pursuit ute is effectively replaced by the new GS ute. 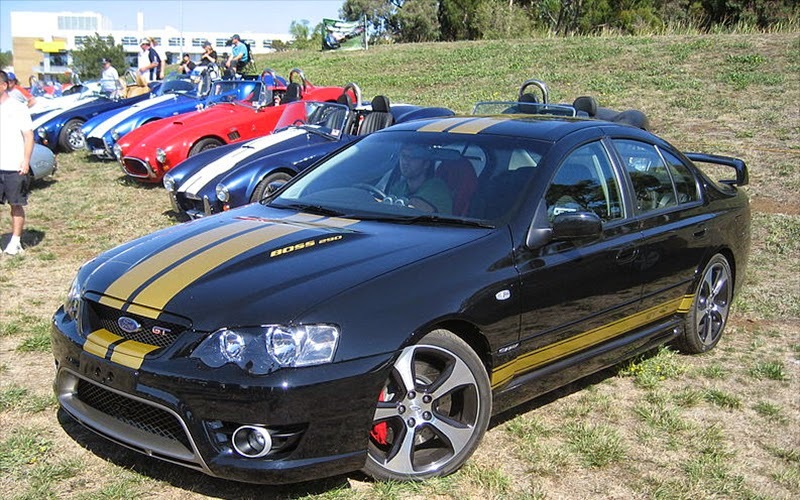 In 2012 FPV released a limited edition Pursuit Ute alongside the GT R-Spec, The limited edition Pursuit Ute is powered by the FPV modified all-aluminium 315 kW 5.0-litre "Miami" V8 engine producing 545 Nm of torque between 2000 and 5500 rpm. It also shares styling cues with the GT R-Spec boasting Vixen coloured stripe packages and wheels. 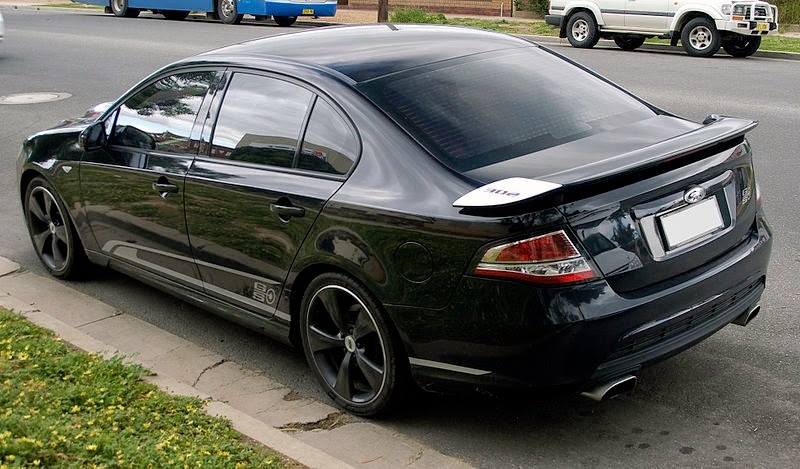 In June 2014, along with the Falcon GT-F 351 sedan, Pursuit Utes marked the end of FPV's production. A total of 120 were released at $52,990. 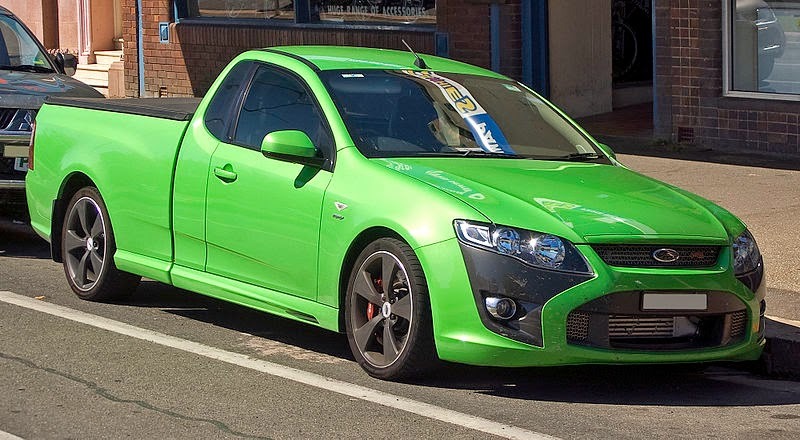 The F6 Ute is the only 6-cylinder vehicle in the FPV Ute range; it starts off the FPV range at $57,990 (AUD). It is powered by a 4.0 L turbo-charged DOHC 24 valve in-line six-cylinder engine, which produces a maximum power of 310 kW (421 PS; 416 bhp) at 5500 rpm and maximum torque of 565 Nm (417 lbft) across the range from 1950 to 5200 rpm. The fuel consumption has dropped to 12.1 L/100 km (23.3 mpg-imp; 19.4 mpg-US) for the automatic. The engine is mated to a new 6-speed manual transmission; however, a ZF 6-speed automatic is a no cost option. It is equipped with Dynamic Stability Control (DSC), 6 airbags, Electronic Brakeforce Distribution (EBD), 4-channel anti-lock braking system (ABS), Beltminder technology, a six CD player (MP3 compatible), FPV starter button, alloy pedal covers, and 19-inch (480 mm) alloy wheels. Based on the cast iron 4V DOHC Boss short blocks sourced from Windsor, Ontario, the Boss engines include some locally sourced parts such as intake and pistons coupled with DOHC 4-valve cylinder heads from the Mustang Cobra R engine. FPV named this uniquely tuned engine as the Boss 290 because of its power output. It produced 290 kW (394 PS; 389 bhp) at 5500 rpm and 520 Nm (380 lbft) of torque at 4500 rpm. For the BFII FPV GT Cobra special edition, the Boss 302 was created. The GT Cobra motor produced 405 hp (302 kW) and 540Nm (398 lbft)). For the FG MkI, the 5.4 was further tuned to produce 315 kW (428 PS; 422 bhp) and 551 Nm (406 lbft). FPV achieved this through a new camshaft profile, new camshaft timing, strengthened piston assembly and a higher compression ratio (10.5:1 to 10.8:1). Used in the entry level GS sedan and ute, the Boss 315 produces 315 kW (428 PS; 422 bhp) at 5750 rpm and 545 Nm (402 lbft) between 2000 - 5500 rpm. Available in the GT range, the Boss 335 kW (455 PS; 449 bhp) between 5750 - 6000 rpm and 570 Nm (420 lbft) between 2200 - 5500 rpm. The latter is offered in the GT range, which includes GT, GT-P, and GT-E. Fuel economy was improved dropping 4.5% to 13.7 L/100 km for the auto and 13.6 L/100 km for the manual. For the BA/BF F6 Typhoon and Tornado models, the boost from the Garrett GT3540 turbocharger was increased over the Barra 240, producing 270 kW (362 hp) @ 5250 rpmTorque: 550 Nm (406 lbft) @ 2000-4000 rpm. With the FG series,a larger turbocharger and intercooler were added. This is the most powerful engine with 310 kW (416 hp) @ 5250 rpmTorque: 565 Nm (417 lbft) @ 1950-5200 rpm (and the first to produce more than 100 hp (75 kW) per litre) manufactured in Australia. As a result, the F6's rolling acceleration from 80 km/h (50 mph) to 120 km/h (75 mph) is 2.8 seconds. 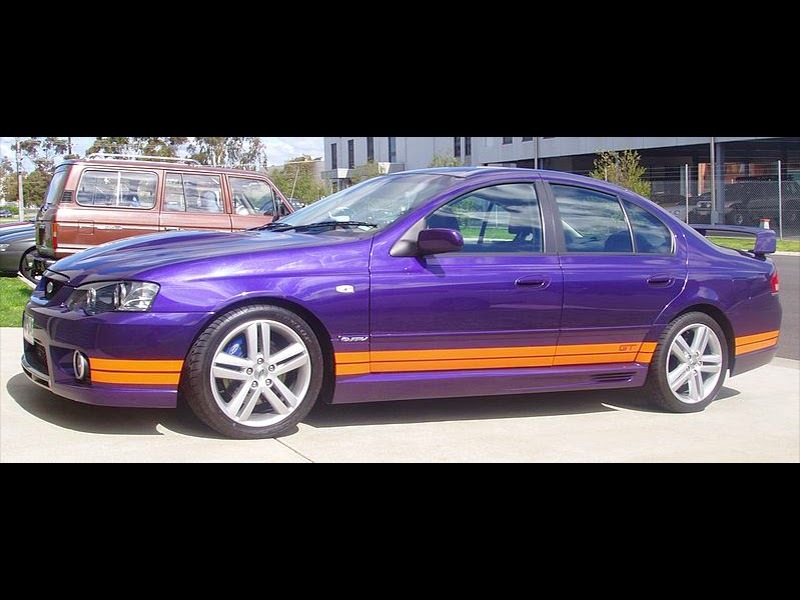 FPR was created in 2003 to establish a link between FPV's road car range and the V8 Supercars. Given the team's massive budget, its early results were disappointing but a form reversal in 2006 saw the team finish 2nd in the teams' standings. Mark Winterbottom has also got 2nd place in the drivers championship in 2008. The team achieved their first Bathurst 1000 victory in 2013 at the helm of Mark Winterbottom and Steven Richards. Current drivers are Mark Winterbottom and Chaz Mostert in the two FPR entries. Former drivers include Craig Lowndes, Glenn Seton, Greg Ritter,David Brabham, David Besnard, Jason Bright, Steven Richards and Will Davison. Last updated on 27 July 2014 at 11:23.